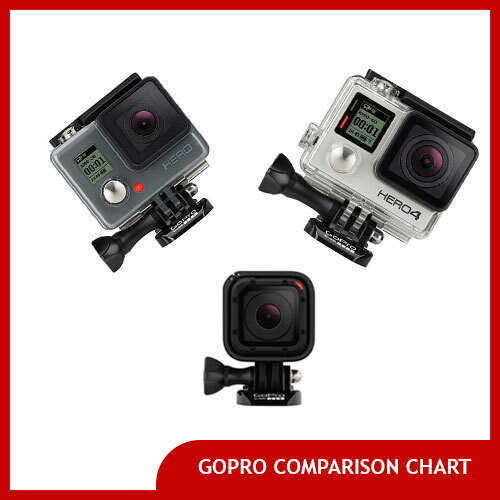 Not every tripod is created equal, and finding the best video tripod for your purposes can be difficult. Most tripods are meant only for still photography which means they both 1) aren’t meant to support much weight because still cameras are lighter than video cameras, and 2) still camera tripods don’t have fluid heads for smooth panning motion that you’ll want in a video tripod. Weight can also be a major concern if you’re looking to buy a tripod. 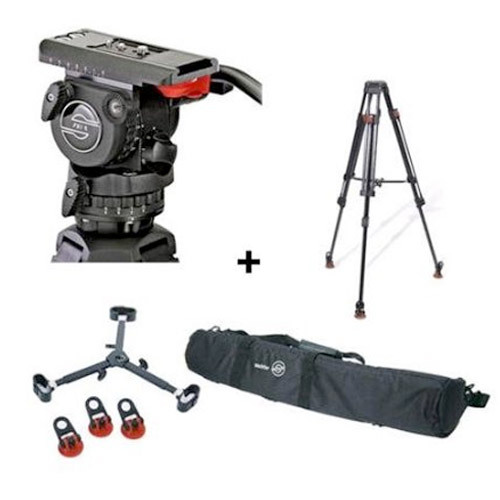 You’ll want a tripod that can support a video camera, but you’ll also probably want to keep weight in mind because the best video tripods can easily get quite heavy. And finally of course, cost is also a concern: the cheapest tripods are less than $100, but you get what you pay for. You can have a great camera but if your tripod is a piece of trash, your footage won’t turn out well: you’ll have jerky turn movement, unwanted jitters and unusable footage. 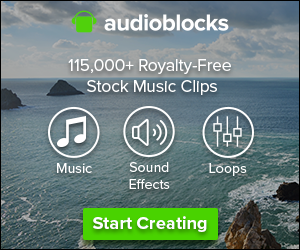 On the other hand, expensive professional filmmaking tripods can easily cost thousands of dollars, which may be out of your budget. A general filmmaking rule for picking out a tripod is: you should never buy a tripod that costs a lot less than 1/3rd of the cost of the camera you are going to put on it. 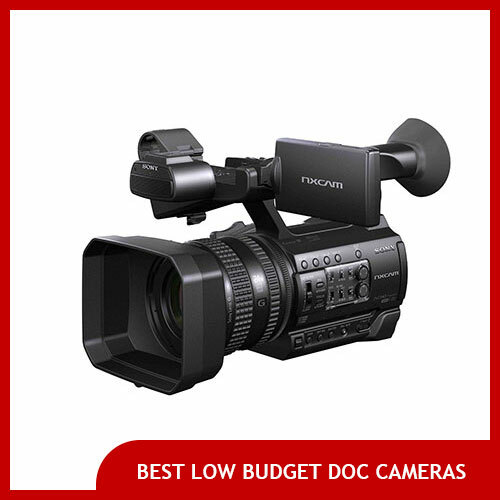 So if you’ve got a C300 camera, you’ll want a video tripod that costs at least about $1,000 to support it. 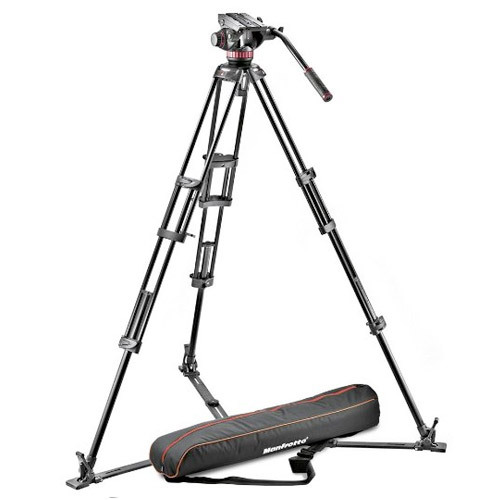 We’ve done a roundup of some of the best video tripod and tripod systems available. 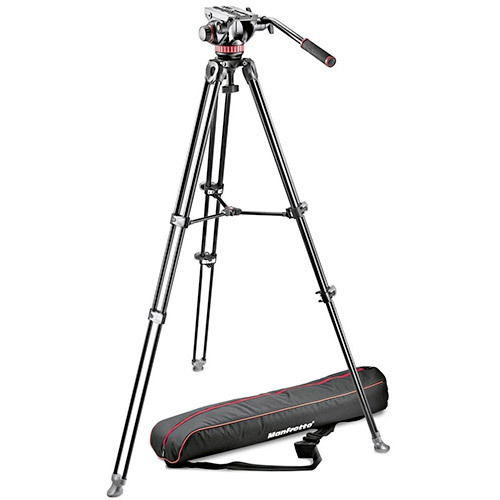 Manfrotto is one of the most respected names in video tripods. It’s an Italian company founded by Lino Manfrotto, a photojournalist who tinkered with gear as a hobby. Today it makes some of the best video tripods available. This model comes with a great fluid head for super smooth panning and tilting, and a lightweight set of legs. It also balances with a ball mechanism which allows you to level it quickly and re-adjust it quickly too. Comes with a convenient carry soft case. Maximum height: 61 inches. Weight: 8.38 pounds. Maximum height: 66 inches. Weight: 12 pounds. Sachtler, coming out of Germany, is Manfrotto’s major competitor in the video tripod market (at least, outside of Hollywood, where specialty cinema tripods can cost $10,000-$20,000 and can support hundreds of pounds). This Sachtler (pronounced “sack-ler”) tripod is aimed at the high end of the video market and features their patented speed lock system that can take a while to master but once you do, it’s hard to beat in terms of quick set up time. 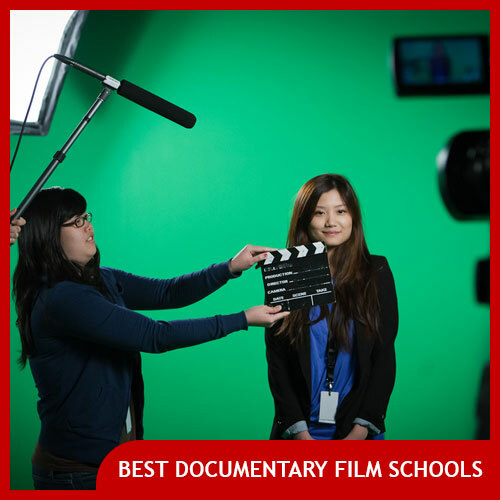 Plenty of pro DPs swear by Sachtler tripods, and this is one of the most popular video tripods that Sachtler makes. Comes with a padded tripod bag, ground spreader available separately. Maximum height: 64 inches. Weight: 11 pounds. 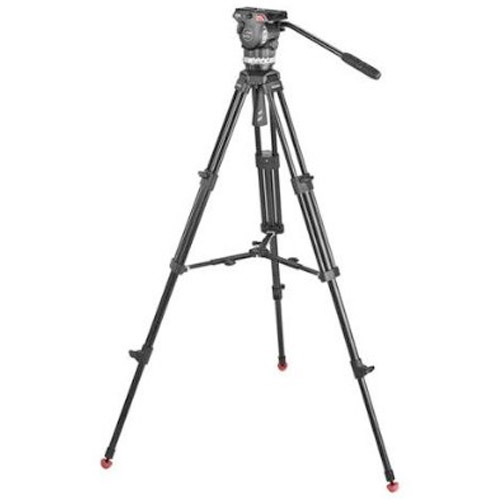 The Sachtler 1001 is a relatively new video tripod from Sachtler and is meant for lighter weight cameras (with a maximum recommended payload weight of about 9 pounds). The Sachtler 1001 provides adjustable drag like the other tripods on this page, and a mid level spreader, meaning it can easily be used on non-level surfaces where the legs need to be at different heights for the camera to be level. Note that there’s also a version with a detachable ground spreader if you prefer that style of tripod. If you’re looking for a budget tripod for a smaller video camera, this Magnus tripod might fit the bill. It only supports up to an 8.8 lb camera, but if your camera is less than that (as most DSLR type cameras are), this might work for you. Note that this is a two stage tripod, meaning that it won’t get quite as tall or short as the earlier Manfrotto tripods in this article. 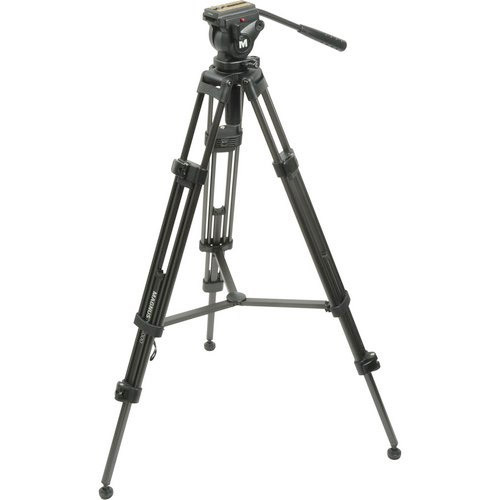 Like other pro video tripods, this tripod comes with a detachable camera mounting plate so you can easily remove it from the tripod, screw it on to the bottom of your camera, so you can mount and unmount the entire unit quickly and easily. Maximum height: 59 inches. Weight: 7.9 pounds.